Where to receive the Red Enverlope? 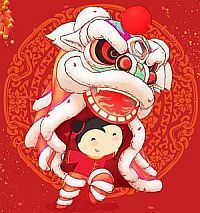 Master Tsai Chinese Astrology website will hand out 365 Lucky Red Envelopes on the Chinese New Year Eve and Chinese New Year Day. That will be on February 4, 2019 and February 5, 2019. The location is at https://www.mastertsai.com. 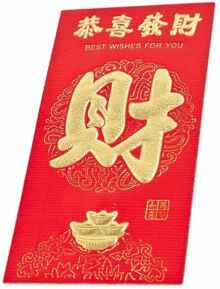 The Chinese New Year Red Envelope contains a gift card for Fortune Angel Chinese Astrology 10-Year Major Cycles Report. This report covers all major cycles of your entire life and 2019 Brown Pig Year prediction. This report is the first time for free. Don't miss it. You have option to choose one of the Fortune Angel Love Match reports – Your Most Compatible Birthdays and Compatibility Test for two persons. The www.mastertsai.com website is hosted at USA. The server clock uses the US Pacific Standard Time (PST). The following table shows the event's starting and ending times of different time zones. Click on the following Red Envelope to get Master Tsai Fortune Angel Astrology report. One computer or mobile device is limited one Red Envelope. Get your own lucky Red Envelope If you miss it, then wait for next year.